The following is a guest blog post from Ted Hunting, VP North America Marketing at Genesys. Next month, Execs In The Know will bring together service leaders from many of the largest global brands to advance the conversation on creating great customer experiences. From past experience, it’s a very tight-knit group of CX leaders sharing best practices and ideas around omni-channel customer engagement, across all channels, and empowering employees to deliver great customer experiences. This community is one of my favorites as the people are super-smart and passionate leaders who openly share their challenges, advice, and ideas – it’s all about candid discussions and one-on-one engagement and networking. As a member of the Execs In The Know CX Partner Advisory Board, on behalf of Genesys, I am excited to again join this group and will be leading an educational session with group brainstorming on “Journey Analytics and Effortless/Personal Keys for the Next Era of CX” on September 20th. The session will discuss how you can use journey analytics and new digital approaches to orchestrate an “outside in” customer journey that is more personal and predictive, while reducing effort. We will also share best practice use cases where AI, bots, digital self-service, and humans can work hand-in-hand. Join us to discuss and learn about this new era of effortless, personal omni-channel CX where old and new emerging channels come together and robots and humans work as one. I highly recommend brands who truly understand the importance of customer experience to their business success and survival to join this group. Execs In The Know is a well-respected organization that people turn to for advice and it’s unlike other similar events in the CX industry, due to the level of attendees and openness in communication. In attendance will be leading financial services firms, retailers, healthcare companies, hi-tech firms, hospitality companies, and utilities from across North America – both traditional leaders, but also some of the new disruptors changing business today. To learn more about joining visit https://www.execsintheknow.com/events/crs-chicago/ and follow @execsintheknow. And to learn more about Genesys, the industry’s #1 customer experience platform and recognized leader per Gartner and others, please visit http://www.genesys.com/about. Or checkout some really awesome customer stories from CX leaders like Sabre. 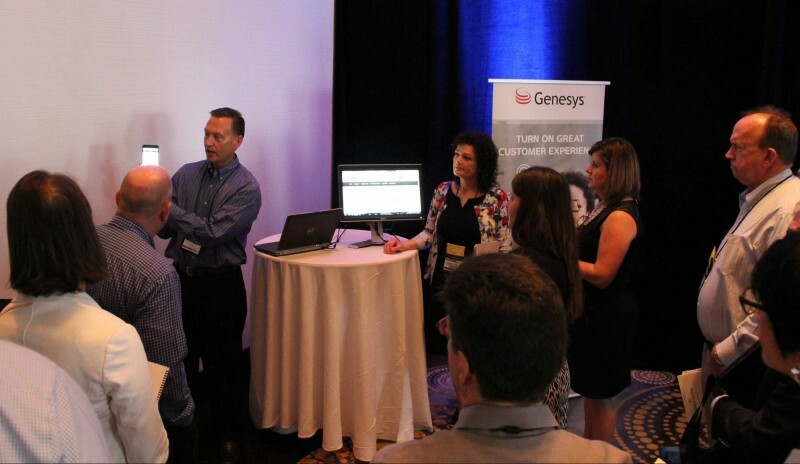 Execs In The Know would like to thank Genesys who have been a long time supporter of the Customer Response Summit event, continue to be involved and valuable to our community of CX professionals, and truly care about seeing progression and enhancement in our industry. The following is a guest blog from Ted Hunting, Vice President, North America Marketing at Genesys. For more information about Genesys, visit their website. 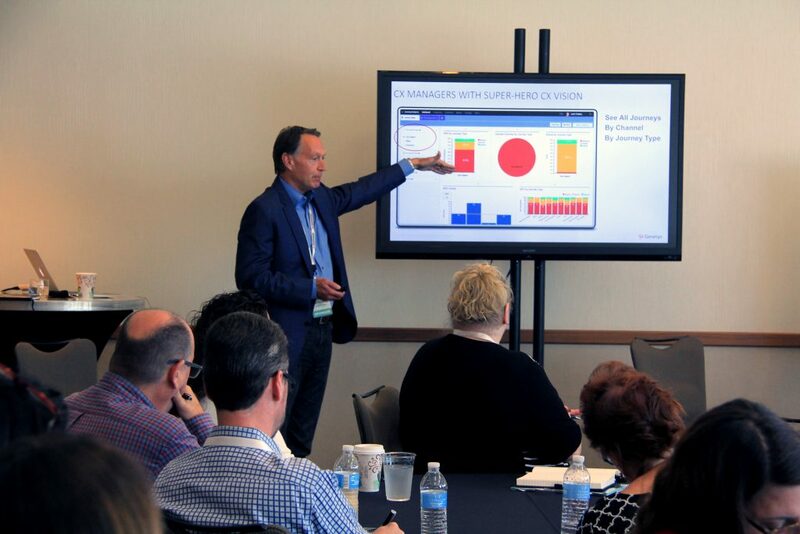 During the Customer Response Summit (CRS) last week in Austin, I shared my perspective on customer expectations of seamless, personalized omnichannel journeys with customer service executives from some of the world’s greatest brands. It was a rare opportunity to exchange ideas on digital innovation in customer experience (CX) with such a group. To set the stage for brainstorming sessions on digital innovation, I talked about the prediction that by 2020, more than 90% of customer engagements will begin online, and what that means to CX innovation. Currently in many customer service environments, organizational silos remain across channels, including web, voice, callback, mobile app, text, email, social, and video. In spite of initial interactions occurring on the web, customers nonetheless expect the effortless, personalized omnichannel journey that results from integrated communication channels. We explored some examples of businesses successfully integrating voice and digital channels to improve CX. What did this group identify as key future trends? The internet of things (IoT), personalization through big data, and emerging self-service models such as chat and voice bots, led to brainstorming on digital innovation in the CX world. Customer journeys will be increasingly personalized, leveraging big data and business rules to predict customer needs and deliver better CX. The following is a guest blog written by Ted Hunting, Senior Director, North America Marketing and Global Demand Generation, at Genesys. Learn more about Genesys by visiting their website. To hear more about this topic and others like it, join us at Customer Response Summit Seattle, September 28-30th, 2015. Gartner’s CEO has proclaimed that Digital Business is Upon Us. Companies that think they are not digital businesses will be out of business and the companies that will win in this era of digital transformation are those companies that make the most of every business moment. What Gartner is proclaiming is key to every company in every industry is essentially “customer care for the connected consumer” – the key topic of the Customer Response Summit Seattle. It’s also why I encourage customer care and CX leaders to attend what I have found in the past to be an extremely enlightening event, attended by smart, energized customer care executives and luminaries. From speakers, to networking, to innovative new ideas in the “Idea Lab”, it will be a fun few days of learning and “eureka” moments.